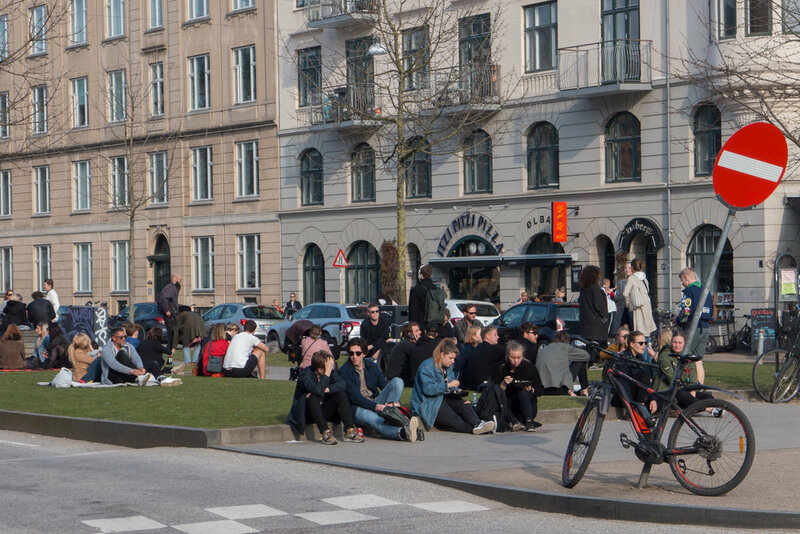 As soon as the sun comes out, people in Copenhagen move outside and stake a claim to the streets. It doesn't have to be warm … just light. 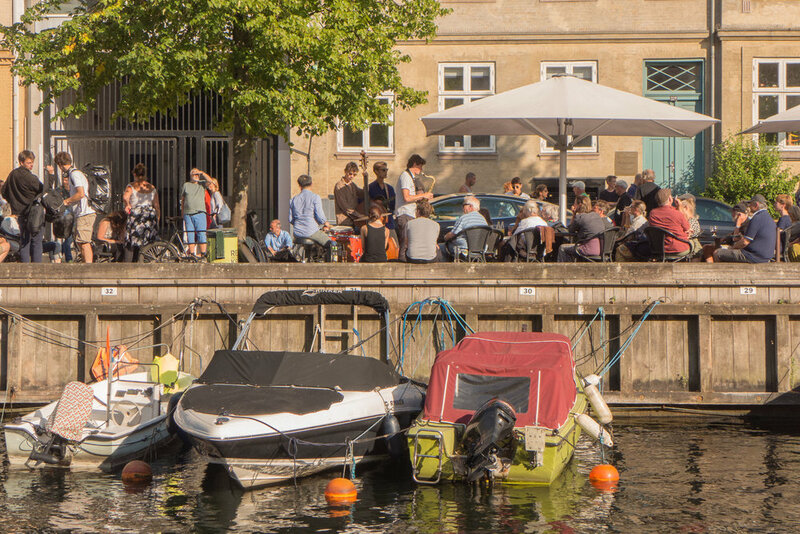 It's not that Danish homes are so awful that people can't stay in … just the opposite … but in Copenhagen there is plenty of evidence that this is not a modern idea. Historic paintings and drawings show citizens strolling along the pathways on top of the city defences or promenading on the squares … so walking and talking rather than actually going somewhere … and there is still a tradition to walk around the top of the embankments of the 17th-century fortress in the Spring or stroll along Langeliniekaj. 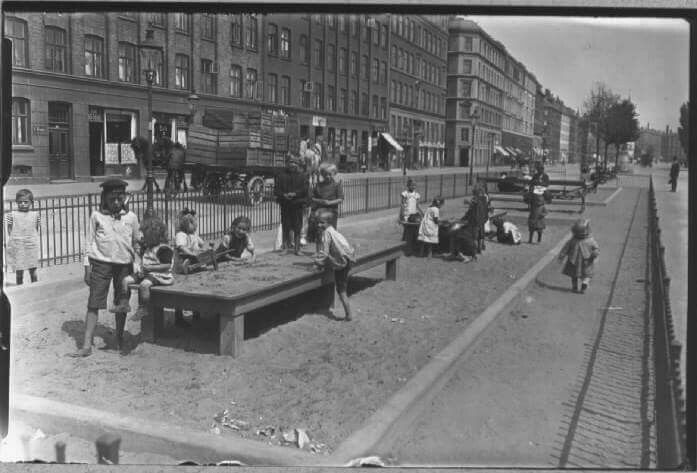 It's said that the citizens only agreed to the construction of the Free Port - which blocked the walk along the foreshore - if the quay was constructed with open access for a Sunday afternoon stroll. 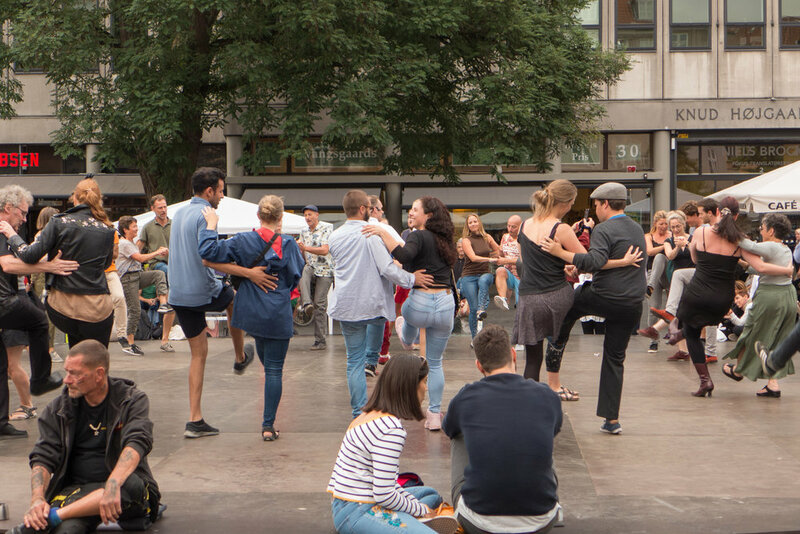 The use of the public space of the street can be much more active so there is play equipment for children on many squares and streets and permanent fitted exercise equipment for people out for a jog who want to do more than just run. Of course tables are moved out onto the pavements outside cafes and there are benches everywhere … most painted the special colour used in the city called Copenhagen Green. This is hardly unique but in Copenhagen you can see a clear reason why this use of public space became so important: Copenhagen was surrounded by substantial defensive ramparts that enclosed a relatively small area and until about 1870 there was little construction allowed outside the gates to keep sight lines open in case of attack or a siege. As the population grew so space was limited and even many of the courtyards had houses built in them so the only space available, for any sort of leisure, were the squares, streets or even the churchyards … even now the large graveyards around the city are a very popular and very pleasant place to stroll with family or friends. Copenhagen is an amazing place to live for so many reasons but, if I had to cut the list right down to one, then it would be that for a densely built up city there is remarkably little vandalism ... people use and live in and own and share the public space so much more than in any city I have lived in before but, taking ownership of the street, people treat public space, their public space, with respect.